﻿The title says it all – "Bordeaux World Heritage & Its Wines." The 324-page guide by Laurent Moujon, Bordeaux resident for 20 years, focuses on the city of Bordeaux in France, a UNESCO World Heritage site, and its world-famous wine regions. • Restaurants (where to eat) – From top gourmet eateries to local brasseries and wine bars. • Attractions (where to go and what to do) – Of course, sites of interest are included like the wine trail to St-Emilion, Pomerol, and Fronsac. Wine connoisseurs and those planning on visiting the city shouldn’t think twice before purchasing this homerun. 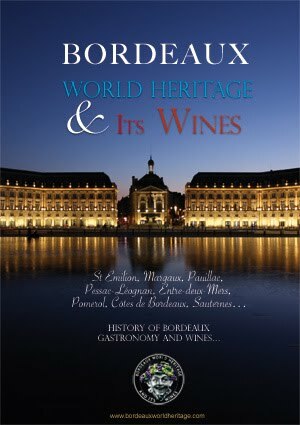 For more information on, or to purchase "Bordeaux World Heritage & Its Wines," click here. Planning on exploring Bordeaux yourself? Discover it aboard a Hotel Barge Cruise!